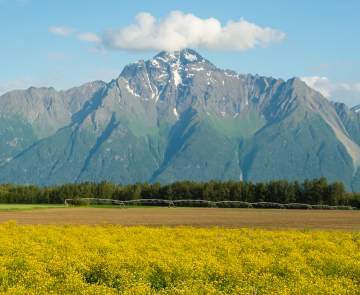 Cast a line in the Mat-Su Valley for an Alaska fishing trip experience of a lifetime. 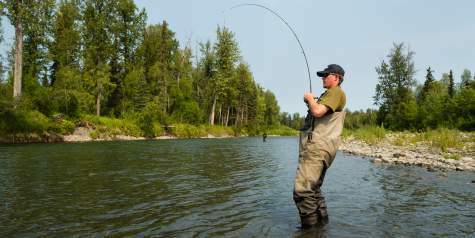 Anglers are lured to the Mat-Su&apos;s remote river valleys, secluded mountain lakes, bountiful natural lakes and freshwater streams containing a cornucopia of wild Alaska king salmon, silver salmon, Alaska lake trout, champion rainbow trout, Dolly Varden, Arctic grayling, Arctic char, northern pike and more. Fish on your own, stay at an Alaska fishing lodge, or use an Alaska fishing charter to catch your dream fish. Fly fishing in Alaska for salmon and trout is exactly how you&apos;ve dreamt it is, especially in the peaceful, pristine Mat-Su Valley. Travel in comfort by jet boat or small airplane to a remote destination for wade-in fishing. Experienced fly fishing guides cater to both beginner and skilled fly fisherman. Reserve a charter and have a fishing guide show you the best spots and techniques to fish in Mat-Su Valley lakes and streams. They have a thorough knowledge of local regulations and will help you have a successful and productive Alaska and fishing trip. Charter and guide services also provide gear, tackle and bait. 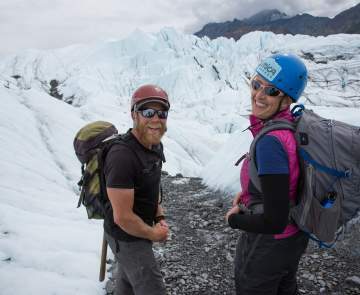 The Mat-Su Valley is known as the "Stillwater Fishing Capital of Alaska" because the abundance of road-accessible lakes. 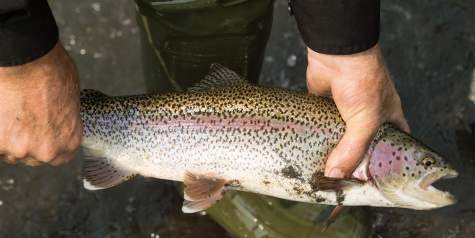 Catch landlocked salmon, arctic char and rainbow trout in one of the many lakes. Don&apos;t forget about those big northern pike out there too! The ADF&G also produces an Alaska Fishing Lake Map database with fishing information and regulations for the entire state, including more than 80 Mat-Su Valley lakes in the areas of Talkeetna, Willow and Nancy Lake, Big Lake, Point Mackenzie, Palmer-Wasilla, the Glenn Highway. View the database here. 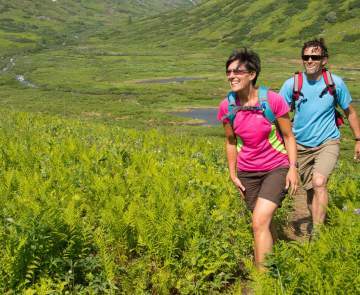 Alaska Fly in fishing lodges and resorts located near remote wilderness streams teeming wild Alaska salmon and trout are easily accessible from the Mat-Su Valley. Fish road-accessible fishing hot spots along Parks Highway streams including Willow Creek, Little Willow Creek, Montana Creek and Little Susitna River. Type "fishing" into the Member Business Search for Alaska fishing charters, guides, fishing lodges, lakeside inns or B&Bs. For visitors in pursuit of their own Alaska fishing bliss.